Learn how to put your favorite jams on your GNARBOX for use in a Highlight Reel! Have an awesome song you want to use in a Highlight Reel, but can't seem to figure out how to get it on your GNARBOX? Here are some tips and tricks on how to do that! One of the easiest and fastest ways to get music onto your GNARBOX is by connecting your GNARBOX to your computer using Mass Storage Mode. For a full tutorial on how to connect your GNARBOX to computer, check out our guide here. Once connected, simply drag and drop your music files over to your GNARBOX. TIP: Create a folder for your music so that it's easier to locate in the GNARBOX app! The second way to get music onto your GNARBOX is by loading your music files onto an external drive, whether that be a hard drive or thumb drive. Simply plug your drive into the GNARBOX via USB3 or USB2 and copy your files over to the GNARBOX. 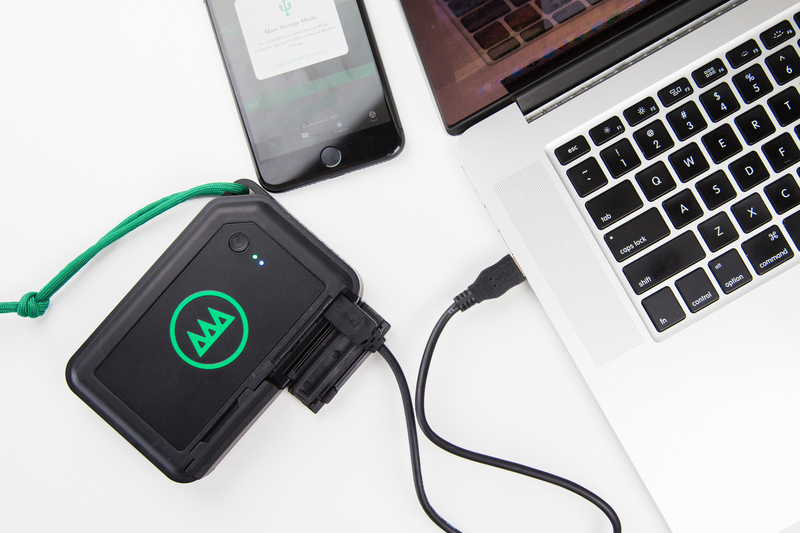 For a full tutorial on how to connect external devices and transfer files to the GNARBOX, check out our guide here. Upload the music you want to use to your Dropbox account. Once uploaded, launch the iOS Files app and navigate to your Dropbox account. Find the file(s) you wish to transfer and tap "Select", then choose the files you want. Select the export icon in the bottom left. You will then be prompted with a series of app icons and locations. Tap "Save to Files", then choose 'GNARBOX' from the list. Before hitting "Add", connect your iOS device to your GNARBOX wifi as you normally would and open up the GNARBOX app. Next, revert to the Files App window and tap "Add". When you revert back to the GNARBOX app, you'll see your music file has now been added to your GNARBOX! Note: This method can sometimes be a big buggy as it is Apple's first implementation of the Files App.